My daughter turned 4 last week; and she requested a pink treat. Shape into small pies for individual servings or a big pie and place in freezer for an hour or more. I had extra ice-cream left over which was delicious without the crust as well. 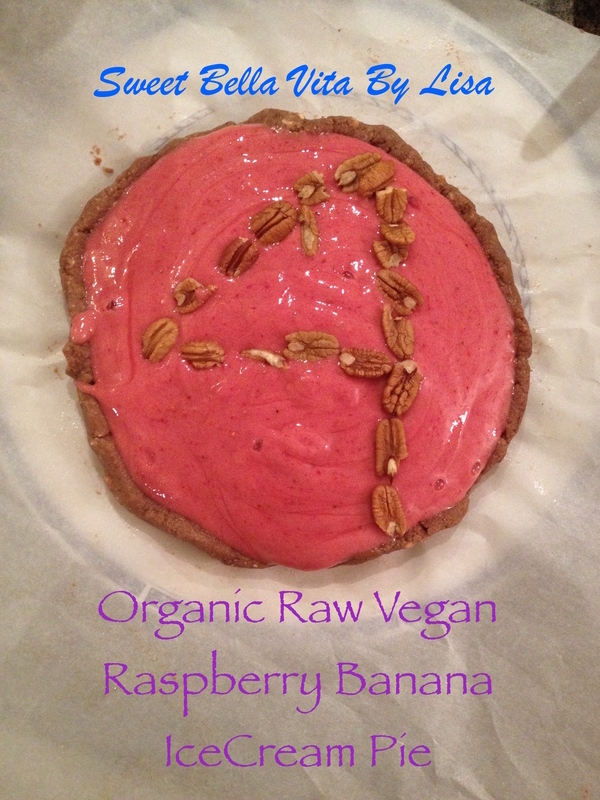 Categories: raw / vegan / vegetarian and organic lifestyle, recipe | Tags: banana, cake, cashews, coconut, food, happy birthday, ice cream, nuts, organic, pecans, pie, raspberry, raw, recipe, vegan | Permalink.